Fudge 2.0 is your strongest ally to sell more tickets. Start creating your event now. 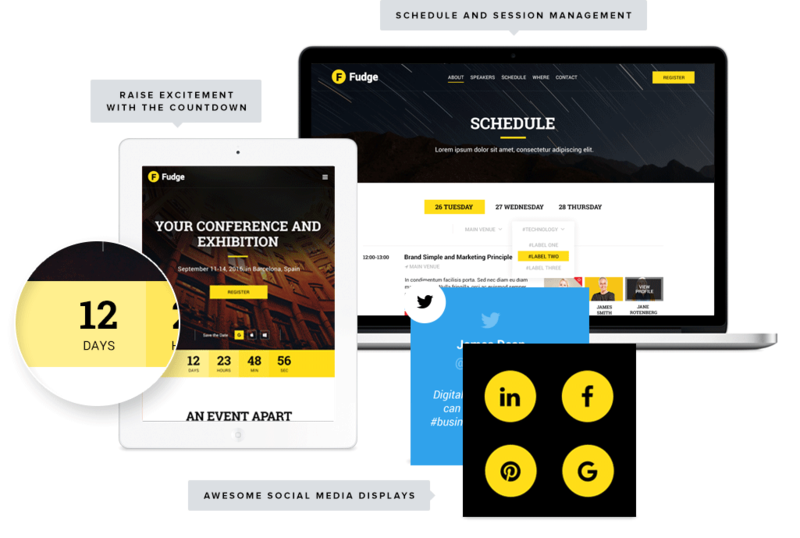 Fudge 2.0 offers conference and event professionals to decide what goes where in their site. Quickly drag and drop elements in our Event Composer and you are set. With Fudge 2.0 you can create the page that better suits your event, no limits to where to put elements, you are in control. You can change the colors of all elements in Fudge 2.0. You can choose from 10 pre-set google fonts. Fudge 2.0 will always be unique. Fudge 2.0 integrates with Woocommerce. You can set up a shop and integrate with major gateways in minutes. Fudge 2.0 offers integration with EventEspresso and Gravity Forms, the most popular plugins to sell tickets for your events. Eventbrite, Tickettailor, Xing Events and even more to come. Fudge 2.0 gives super easy support for their widgets. Whether it is Twitter Instagram. We have them covered. We know how important it is to be social these days! 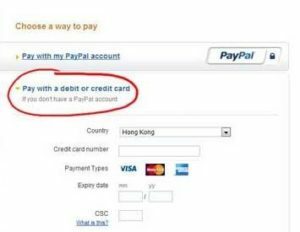 Want to buy Fudge 2.0?